It is very much spring this time of year. A good spring, with plenty of nice things to look at, smell and eat. Nature wall paper, Piet Hein Eek. Another natural one, Osborne & Little. Down in the basement, in the midst of bandy equipment, garden furniture and dirty linen, the chickens are growing fast under the red light of the heat lamp. One week old tomorrow, constantly hungry and not at all easy to photograph (as they are in need of the warmth from the lamp, and their lamp and my camera aren't getting along very well...) For each week temperature inside the box will be a little bit cooler, and soon we can bring the chickens out (for at least a short and supervised time a day to begin with.) All of us are looking forward to that! Vimmerby is a good place if you like flea markets! They are just everywhere. 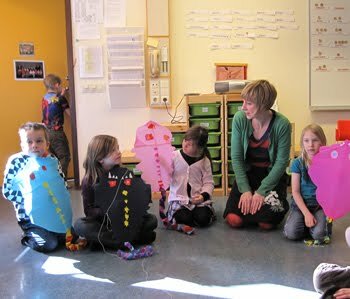 Mixed impressions from Vimmerby last week, when my last book talk at the library was finished. At this very moment, one egg after another is hatching in front of our eyes. The small and exhausted chickens peck themselves out of the egg shells, rest for a little while and then start to clamber around inside the incubator, eagerly squeaking while moving closer towards each other. From yesterday evening we have heard peeps inside of the eggs. Now there are 4 chickens looking fine and healthy, and we are impatiently waiting for more. It is fascinating to see the chickens crawl out. In an hour from leaving the empty shell they are dry and fluffy and very, very cute! En bok för alla som tecknar. 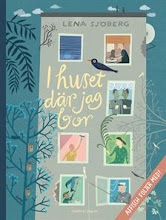 Eller en bok för alla människor som älskar bilder. Eller en bok för alla... människor! Claes Jurander skriver. Och ritar. Tänkvärt och ROLIGT om hur man ser och upplever bild. 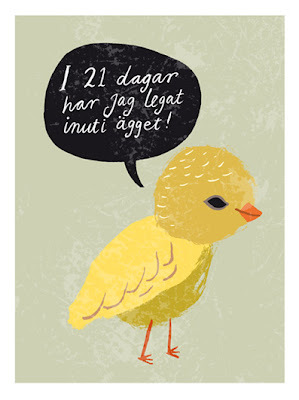 Och om hur det går till när man ritar. Till exempel en häst. Gidlunds heter förlaget som gett ut. Jag blir så lycklig av att det finns böcker som den här! 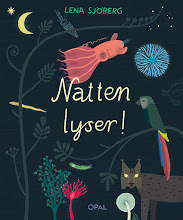 Book (in Swedish) written and illustrated by artist Claes Jurander.